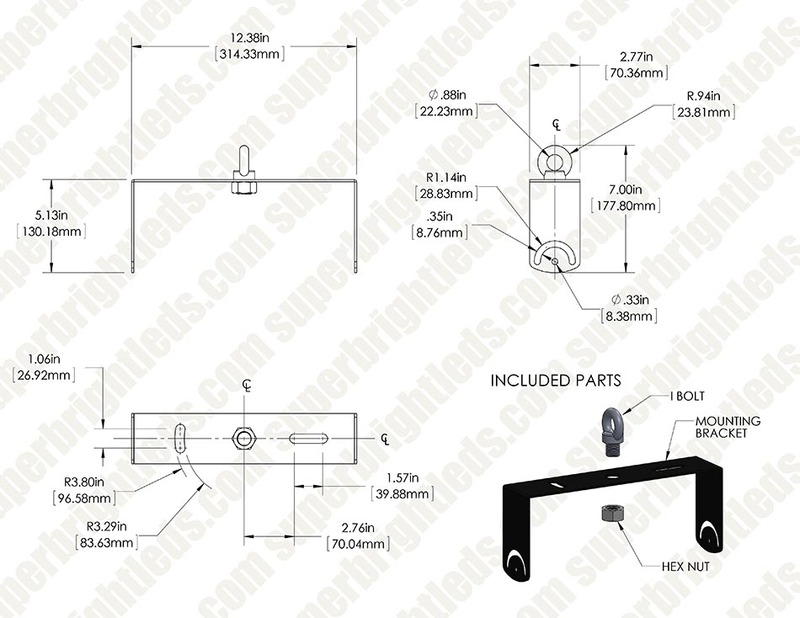 Use this Universal Angle-Mount Bracket with Eye Bolt to suspend your 100- or 150-watt LED Area Light from the ceiling. 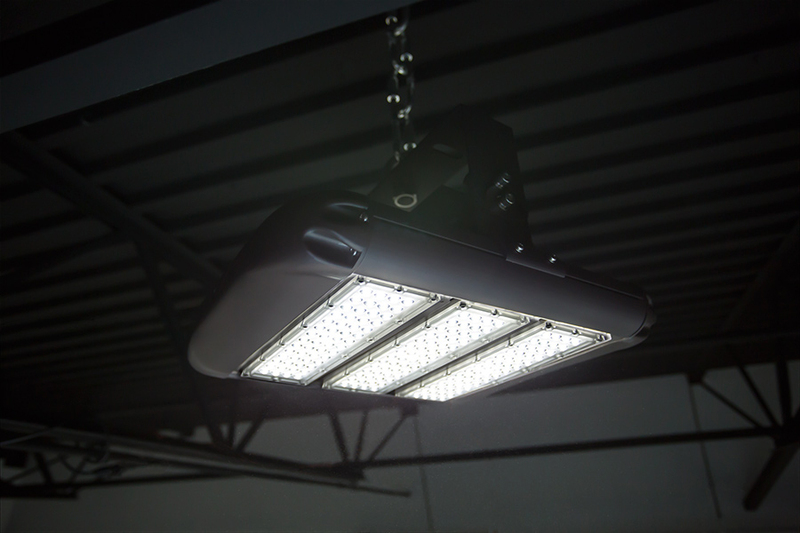 Easily install this bracket in place of the light's included bracket, and use the slotted screw holes to adjust the angle of your area light. 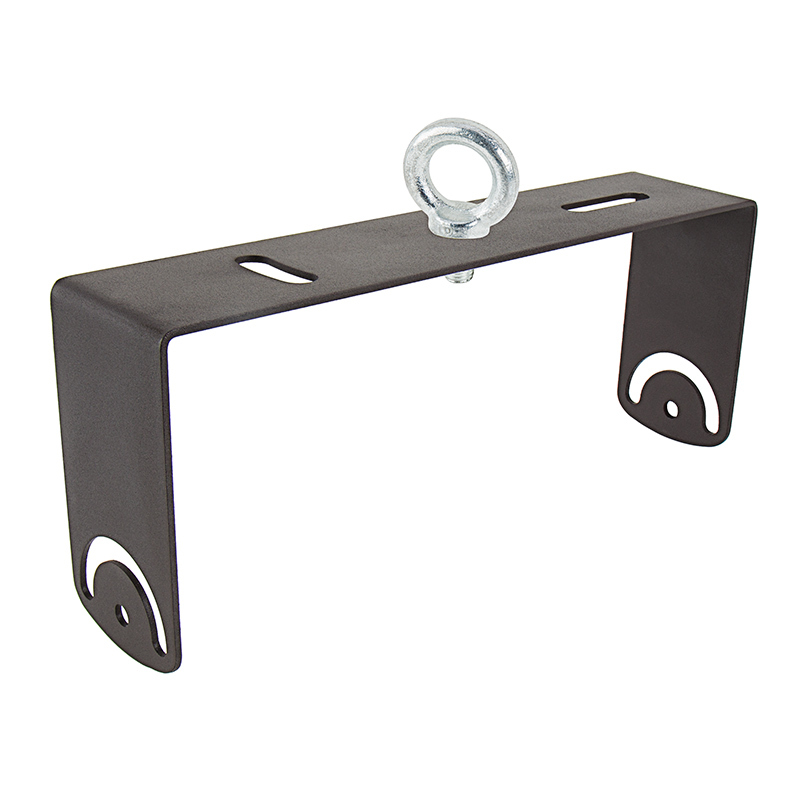 The heavy-duty steel eye bolt easily attaches to the bracket for chain suspension. 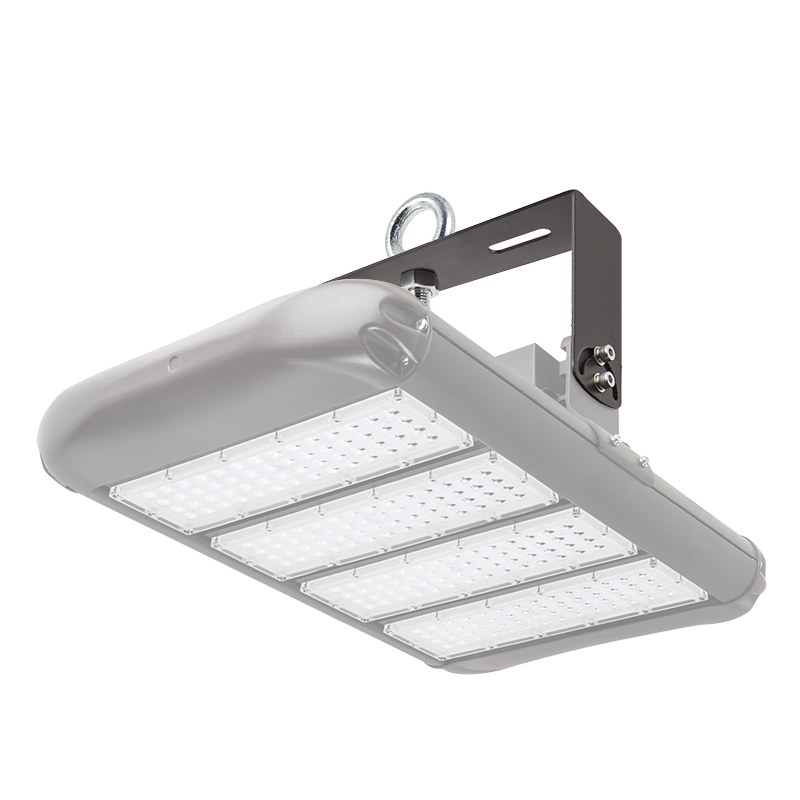 The aluminum alloy bracket is powder coated for rust resistance.